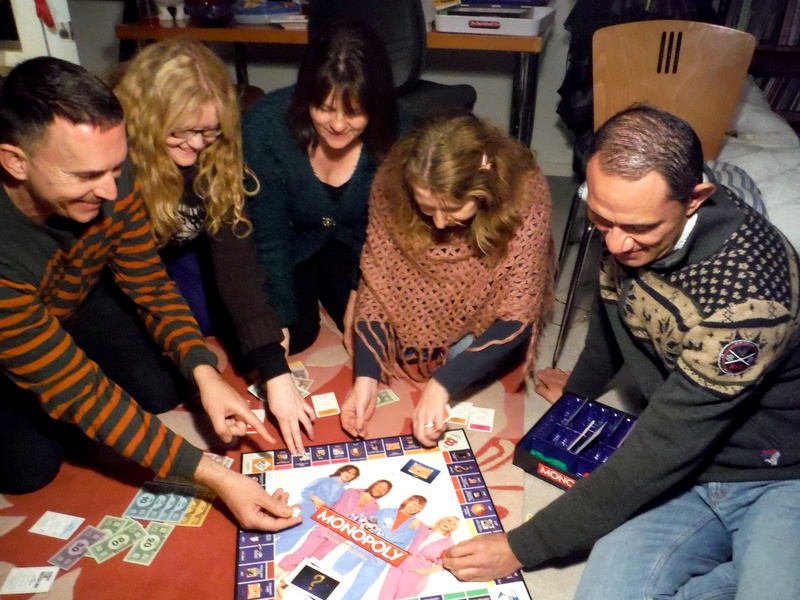 We all did ourselves a favour and went to the second Countdown-a-thon, at L’s. S very dutifully spent MONTHS editing down the best bits of 70s and 80s stuff he had on VHS tapes. I went to see Mark Holden sans shirt, and this *did not happen*! Mostly because nobody could figure out how to use the remote control until we’d finished that DVD. D is the worst music critic ever, due to saying at the beginning of every song: “This is my most favourite one ever!” S and I couldn’t contain ourselves and jumped up to dance to Leif Garrett’s “I Was Made For Dancing“. T was there, she had won Perfect Match in the 1980s and went on a lovely holiday. There were pics of her in a Perfect Match magazine having sunscreen rubbed into her back by her date. She makes great Hummingbird cake. L had lots of 70s food, Countdown books, and Dolly mags and Cosmo and Cleo, they were all great. Stuff on how to insert a tampon and how to avoid AIDS. There was even an article about how Madonna was “suffering over-exposure”! In the 1980s! Where is North Rocks? More than 40km there and back, says my Satnav! 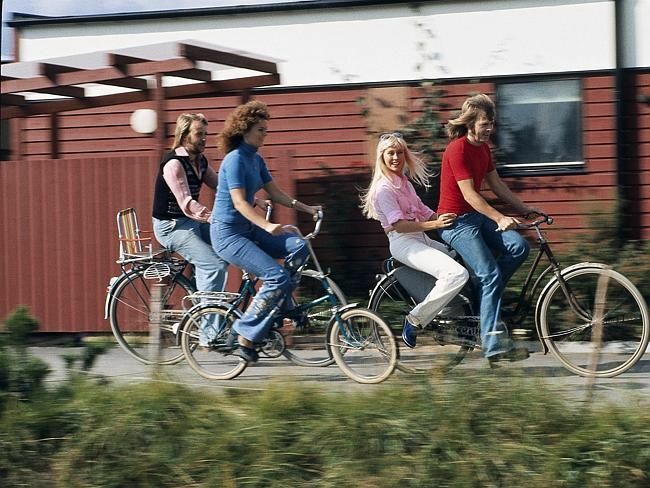 ABBA riding bicycles in Sweden. Spotted lying flat on a box (far behind the counter at Vinnies) ready to be put on the shelves, the ABBA Photobook (with $75 price tag on it from Kinokuniya and nicely covered in protective plastic). Asked nonchalantly: “Oh, is that ABBA book for sale?” $20! I flicked through it studiously to check it was OK and the sales assistant seemed surprised anyone would want to buy it! Gave me that thrill again of finding stuff in secondhand shops when looking for ABBA stuff pre-internet! Still on my wishlist is ABBA The Backstage Stories (my birthday this month) if anyone has a spare copy they want to offload! Posted on August 8, 2015 March 6, 2016 Categories ABBA, Australia, I love Sydney, Lifestyles, MusicTags ABBALeave a comment on Found ABBA Photobook bargain! 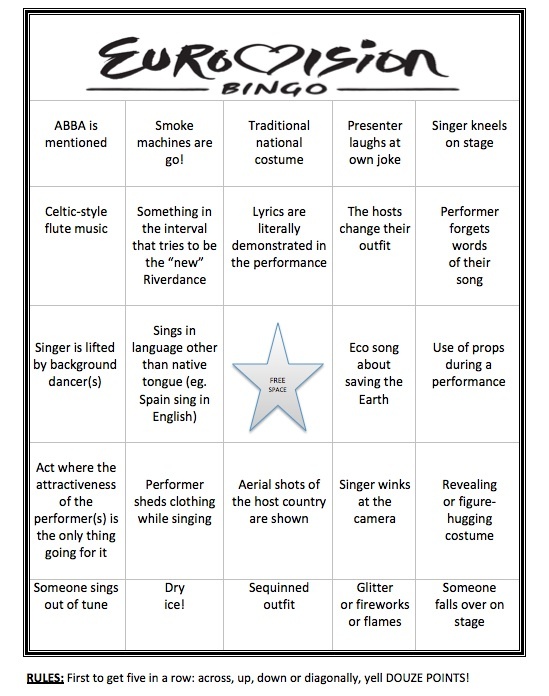 I made some Eurovision Bingo cards. Feel free to download and change them around yourself for your Eurovision party! There are 16 cards and mostly different things to look out for on each card.